The Palm Beach County Sheriff’s Office needs the public’s assistance identifying a suspect WANTED for Shoplifting from Home Depot. 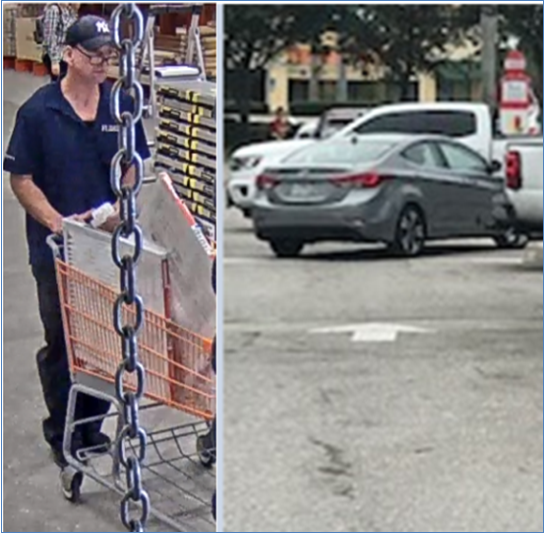 An unknown suspect was caught on surveillance video leaving Home Depot with numerous items to include; Dewalt wrench kit, air filters and Moen Faucet. This incident occurred on December 13, 2018 just before noon. Home Depot is located in the 200 block of State Road 7, WPB.